As there are many differing varieties of steel it can be hard to pinpoint a typical scrap metal price. As the metal is so readily available, prices are low, at around £100 per tonne. 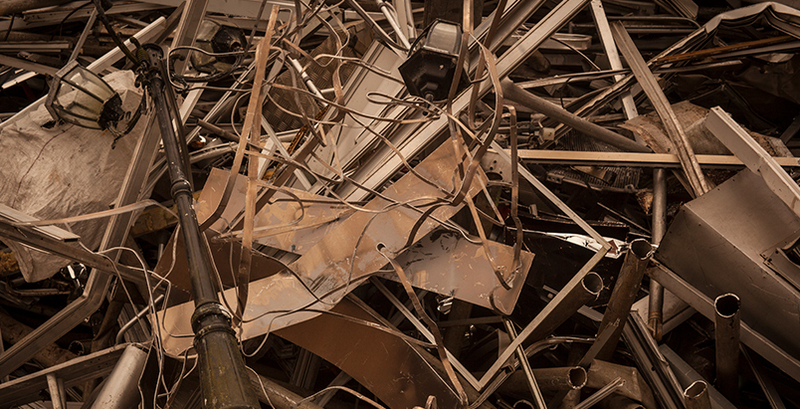 Please note that scrap metal prices change on a daily basis. The above prices are based on estimates per tonne. If you have any questions or want to get the latest prices give us a call on 02392 755900. A valid photocard driving licence or passport with a utility bill dated within the last 3 months (mobile phone bills are not accepted) will be needed to sell your scrap steel with H&S Metals. Where Can Steel Generally Be Found? Steel is a hard, grey metal which is an alloy mixture of iron and carbon. It is commonly used as a structural and fabricating material. There are differing types of steel – low and high – according to the amount of carbon present within. The differing qualities mean that steel is a popular and versatile metal present in many day to day items that we use. There are a huge number of things made from steel. It has a range of purposes in the construction industry from structural metal though to nuts and bolts. In the home, steel is present in kitchen appliances, utensils and food cans. Modern cars contain carbon steel. Many industries will find they have steel available to them for recycling. Where Can I Scrap Steel? We have one scrap yard in Portsmouth and another close to Southampton and Winchester in Bishops Waltham. Taking your scrap steel directly to a yard will enable us to check the quality and weight before offering you a price on site.